On Device Research would like to offer you our complementary Guide to Retail Marketing Effectiveness report, revealing that while some of the biggest names in UK grocery retail face more digital disruption than ever before, digital advertising has a significant role to play in building brands and driving average store footfall uplifts of 14.2%. The extent to which mobile now commands consumer attention vs linear TV. The role that mobile plays in the retail path to purchase. The impact of direct to consumer models on consumer shopping habits. The role of emotion in driving brand impact. 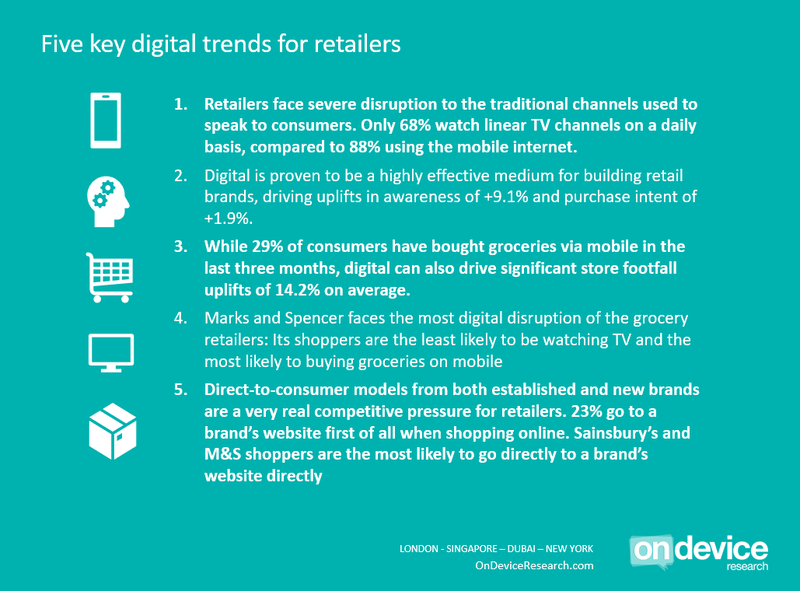 Benchmark data on the impact of digital on retail brand building and store footfall.